Are your students stressed out, tired, and unable to focus? They’re not alone. The average eighth-grade student now spends over 25 hours a year taking standardized tests, while the average high school student reports feeling stressed 80 percent of the time. Even kindergartners are feeling more academic pressure, spending less time on art and music and more on math, reading, and assessment compared with the late 1990s. According to the American Academy of Pediatrics, childhood stress can lead to permanent changes in brain structure and function, increasing the likelihood of learning difficulties, memory problems, and chronic diseases in adult life. Meanwhile, a 2013 report by the American Psychological Association (APA) found that the negative effects of stress persist into the high school years: 35 percent of teens lie awake at night because of stress, cutting into critical sleep time and increasing the likelihood that they’ll have concentration problems or experience feelings of sadness and depression. Studies suggest that the amount of stress matters, and can impact student academic performance as well. While low levels of stress can boost memory formation, moderate and high levels of stress can impair a student’s ability to retrieve memories, making it more challenging to pass tests, write papers, or make a presentation in class. Can mindfulness—a nonreligious form of meditation that teaches students to breathe, focus, and center themselves in the present moment—help reduce any of the detrimental effects of classroom stress or hectic student schedules? Can it help students learn, leading to gains in academic achievement? Many schools are betting on it, integrating relatively simple mindfulness techniques into the school day. For Rebecca McLelland-Crawley’s middle school students, stress was becoming a major problem. When the school district surveyed students a few years ago on their stress levels, the responses were staggering. “More than 80 percent of the kids at our school feel stressed, most or all of it bad. It’s normal to feel stressed—but it’s not normal for an 11-, 12-, and 13-year-old to feel toxic levels of stress. So that was how classroom mindfulness came about,” said McLelland-Crawley. To address the problem, her students created their own mindfulness group, NüYü, to learn more about stress and to share healthy coping strategies with their school. Every week, they encourage other students to participate in the Panther “Pause” Challenge, a series of stress-reducing lessons and activities. NüYü students recently held a wellness fair for over 200 parents, students, and community members, at which they introduced yoga stations, stress balls, and glitter jars to participants. They also held workshops on mindful eating and explained the science behind mindfulness. Now in its second year, the program is expanding to include sixth- and seventh-grade students at the school. The research suggests that McLelland-Crawley’s students are on the right path—mindfulness can be an effective strategy to help students deal with stress. In 2014, a Dutch study found that elementary school students who participated in 30-minute mindfulness sessions twice a week for six weeks exhibited lower levels of stress, higher levels of well-being, and better behavior than their peers. Mindfulness can be especially helpful for children who experience stress resulting from community violence, poverty, substance use, and trauma. In a 2015 study, students from two low-income, urban middle schools participated in a mindfulness-based stress reduction (MBSR) program and experienced a range of mental and behavioral benefits, from lower levels of stress and depression to a more positive mood and better ability to cope with challenging situations. 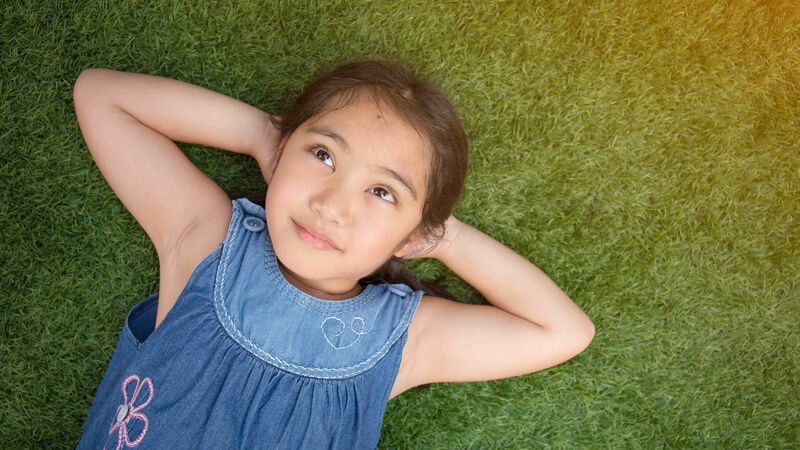 In addition to boosting students’ emotional and psychological well-being, mindfulness can yield academic benefits by increasing students’ ability to self-regulate and focus. Annie O’Shaughnessy, a high school English teacher in Vermont, spends 10 minutes at the start of class every Monday practicing mindfulness with her students. Using a combination of mindfulness videos and breathing techniques, she helps students handle the stress and anxiety they typically experience during school. “I teach mindfulness every single year in English class. After teaching it, I can go up to a kid who is about to give a presentation, and I can see that he’s in amygdala hijack mode. He’s forgotten what he’s going to say, and he wants to leave. So I tell him, ‘So now it’s time to do the breathing.’ So he does the square breathing exercise, where he breathes in, holds for four [seconds], breathes out, holds for four. And he’s then able to give his presentation,” she said. As improbable as it sounds, taking a few seconds to breathe and focus can translate into academic benefits. In 2015, researchers at the University of British Columbia found that fourth- and fifth-grade students that participated in a 12-week mindfulness program had higher levels of attention, better retention, and 15 percent higher math grades than their peers. This was on top of psychological benefits such as lower levels of depression and increased feelings of optimism. A 2016 study further explored the connection between mindfulness and cognitive benefits, looking at middle school students in a four-week mindfulness program. Compared with their peers, these students showed significant improvements in working memory capacity. “These results are consistent with the notion that the practice of meditation—which requires sustained attention while simultaneously redirecting attention back to the current experience—is closely related to the function of working memory,” researchers wrote in their study. Academic benefits have been found for children as early as preschool. A 2015 study from the University of Wisconsin-Madison examined a 12-week Kindness Curriculum program that included mindfulness exercises in addition to kindness practices such as empathy, gratitude, and sharing. Compared with their peers, the preschoolers participating in the program earned higher report card grades, in addition to showing more empathy, kindness, and willingness to share.